I made a visit to Japan in November 2014 and had an appointment with Taulli on the 14 by personal introduction. 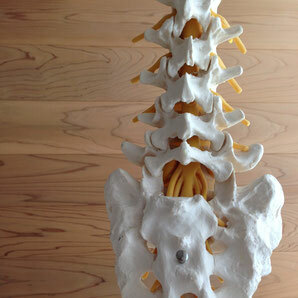 For many years I have been suffering from lower back pain, mainly L4 and 5, secondary L3. In addition, since summer 2013, I have had pain which reaches down via the hips to hallux (big toe). By profession I work in an office all day long, regular exercise has proven to stabilize the condition. I started actively in training center since 2001 and my aim is to go to class 2 to 3 times per week. At Taulli I was very well received. Firstly we went through many conditions to determine the status quo. This was followed by a detailed massage and various movements which I am familiar with from chiropractors in Norway but this time carried out in a more refined way. The next session was acupuncture. To me an unknown numbers of needles were placed from my toes to the top of my head. Some of the needles were inserted with no or very minor pain. To my surprise for several needles the pain did not appear at the point the needles were placed but vigorously in other part of the body. I kept resting for approx 15 minutes then the needles were removed. Lastly I was given some good advice on movements to adapt when the pain hit. These recommendations are most useful and I practice regularly. I have experienced that my pain increases in the cold weather and draft hence this is a combination of arthritis and disorder in the nerve system caused by worn spinal discs. I trust this will never be a course of death but something one has to endure with for lifetime. After the treatment I felt a bit exhausted and tired. The body felt less heavy and it was like walking in new soft shoes. The following day I was a bit numb in my right leg and felt some comfortable warmness in the lower part of my backbone. Presumably, if I were able to continue with several following up treatments, my situation would improve over a longer period of time, which is not possible since I live in Norway. The good instructions on DIY were most useful and highly appreciated. I can offer my best recommendation Taulli has a detailed knowledge and could quickly locate the disorder. The combination of the treatment was something new to me and I can assure I have tried a lot.